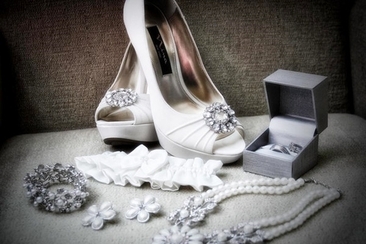 Meaning of Pearls in a Wedding: Good or Bad? Pearl are unique and beautiful in their own way. They come from the ocean and require no special cutting or treatments to allow their true beauty to shine through. While they can fit into the "something old, something new, something borrowed and something blue” tradition, many mothers often give the bride strings of pearls. Is this just to wish them well or is there some other meanings of pearls in a wedding? Pearls are symbolic in a number of cultures around the world. Sometimes they symbolize the good and sometimes they symbolize that not so good. Pearls have often been a common accessory that many brides have worn historically on their wedding days. They have been featured in pendants, earrings, bracelets and traditional necklaces. Bridal gowns and veils have been customized to include them as well. The beauty and innocent of both the pearls and the bride, make them a perfect fit for each other. Pearls are also considered to ensure a happy marriage without tears. Pearls have been highly respected in a number of cultures dating back to ancient times. In Egypt, Cleopatra was said to have dissolved a pearl in a glass of wine. She made a wager with Marc Anthony that in one meal she could consume the wealth of an entire country. She drank the glass of wine which may or may not have helped her seduce him as well. In ancient Rome, the pearl was a symbol of wealth and high social standings. In ancient Greeks, pearls were believed to lead to a harmonious marriage and were often associated with marriage and love. During the Dark Ages, pearls were believed to have a magical power that could protect the knights on the battlefields. During Renaissance, there were laws put in place that forbid anyone other than the Noble class to wear pearls. In many European countries, the meaning of pearls in a wedding was strictly for nobility to display. In England, pearls added to the country's wealth during the expansion into the New World. They have adorned the wedding attire of Queen Elizabeth II and Sarah Ferguson on their wedding days. By the 1900's the prices of pearls dropped, making them more affordable and mainstream. Eastern cultures look at the pearl as a symbol of transformation. Those who wear pearls are to be honest pure, wise and dignified. White pearls are a symbol of innocence and honest; gold or black pearls are symbolic of wealth and riches, while pink or rose pearls represent love. However, not every culture looks at the pearl as a blessing. In the Philippians, Mexican and Italian cultures, pearls are believed to bring sadness into the wedding since they are a symbol of tears. Engagement rings that include pearls are also looked at as bad luck because they often look like a tear shape. Brides are warned not to wear pearls on their wedding day or risk bringing plenty of sorrow into their new life. Regardless, it is up to you as the bride and the groom to define what pearls can represent for your wedding. But, you can also take into consideration what your parents have to say about them. So meaning of pearls in a wedding is looked at as a symbol of good luck and fortune in most cultures. Here are a few exceptional ways you can include them in yours! 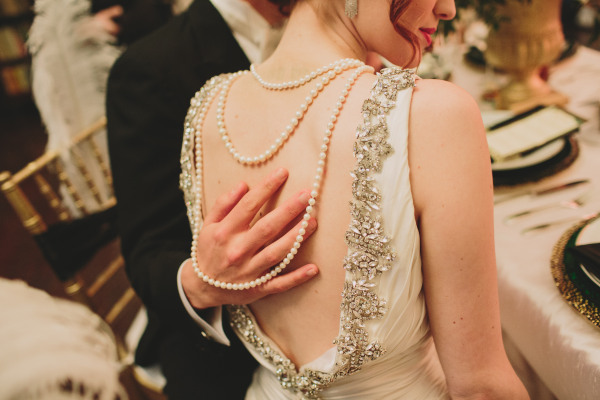 Pearls can add a beautiful shine to your wedding dress. 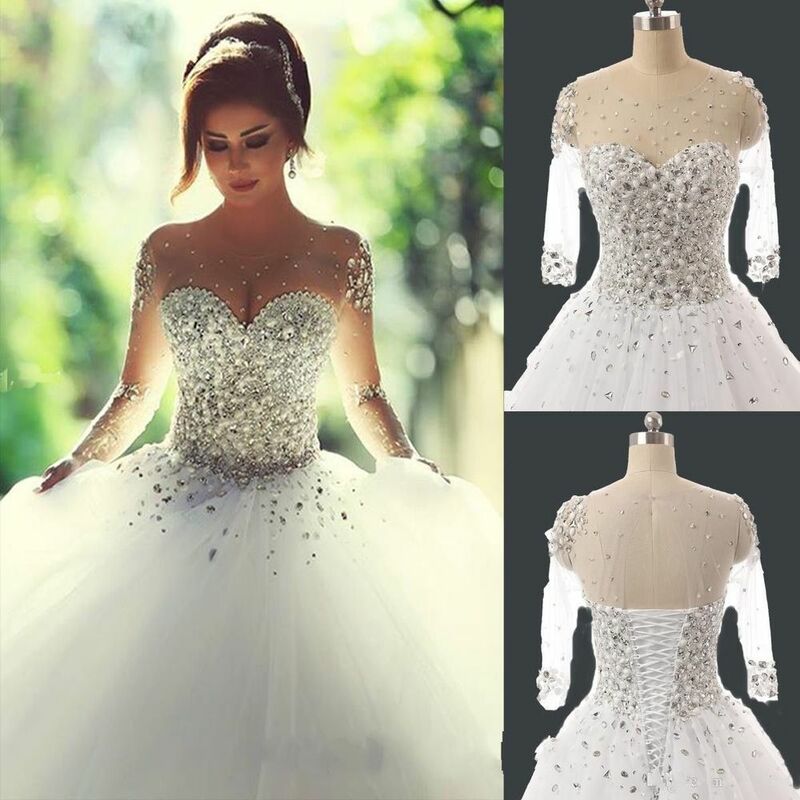 For a truly elegant and fairytale wedding dress, adding in touches of pearl accents to the bodice, sleeves and train of the dress can instantly enhance the look. 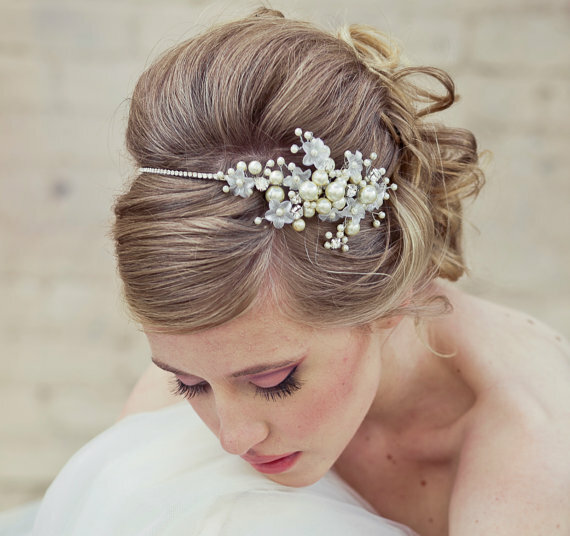 The beautiful cluster and arrangement of a pearl headpiece can be absolutely stunning. Whether you are choosing to go with an updo or let your hair down in beautiful soft curls, pearl hairband is the perfect accessory for the top of your head. A classic strand of pearls for your necklace is perfect for brides who are going for a more vintage look. While traditionally you would let the strands hang down the front, putting a modern twist and allowing them to drape down your back offer a sophisticated and alluring touch to an open back or low cut back dress. Bracelets can be a great addition for brides who want something subtle to display their pearls. You can find single strand pearl bracelets or find them in a combination design with other gems. This will bring some attention to that beautiful manicure you just had done! There is something just simply elegant about a dainty pair of pearl earrings. They can perfectly accent a cleanup do and enhance your cheekbones. 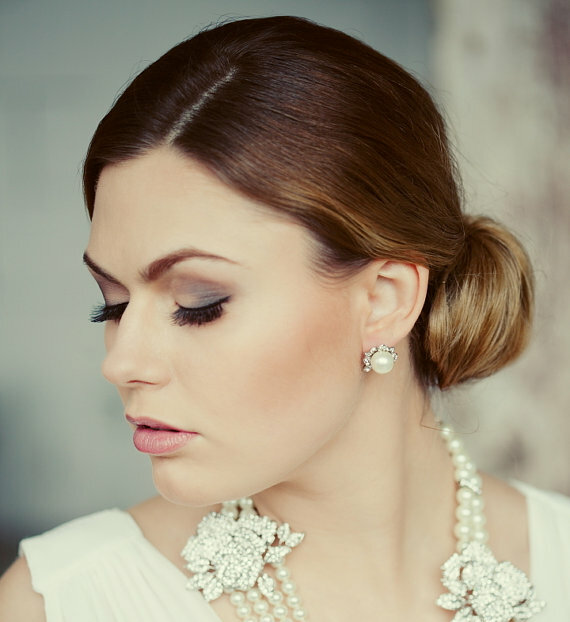 Combined with a beautiful pearl necklace, you will have a stunning classic look that makes you look and feel like a princess. The bridal bouquet tends to be a main focal point to your bridal ensemble, so why not add some pearls details to make it even more eye-catching? 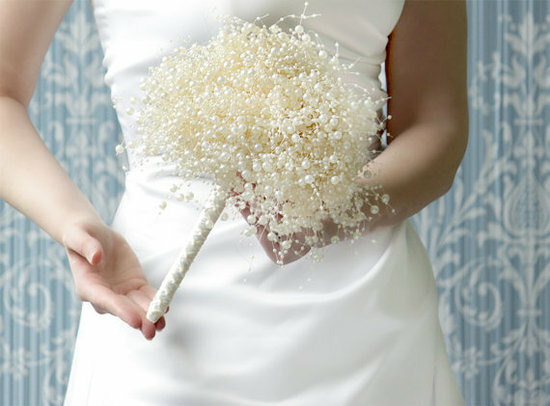 You can wrap your beautiful bouquet with a strand of pearls or create a truly unique bouquet consisting of nothing but the shimmering beads. 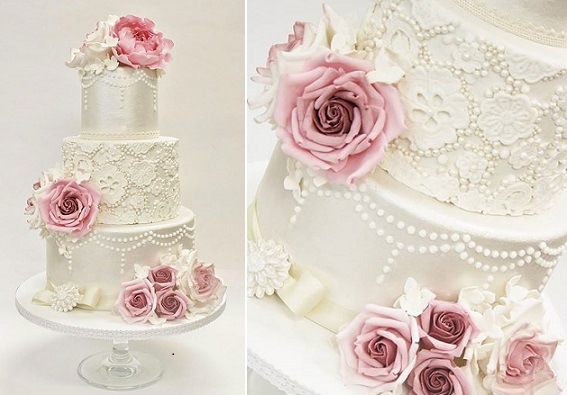 The meaning of pearls in a wedding can also add to the traditional and vintage look of your cake. With lace details and pearl piping, you will have a cake to display that looks like a piece of art which you might not want to cut into it! Even your shoes can incorporate these dazzling beads. A strand of beads that takes the place of a strap over the foot, or a cluster of pearls in a beautiful design are amazing details that will make your shoes truly shines. 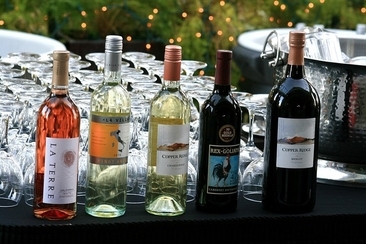 Looking for wedding's alcohol calculator? Here are some of the best ones. Also here is a step by step guide to help you calculate the amount of alcohol for your wedding. 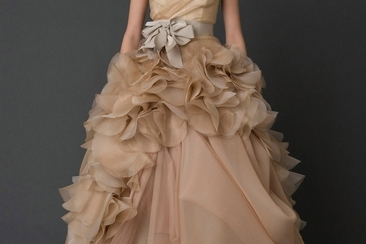 If you want to really stand out on your wedding day, then the choice of dress is primordial. Have a look at these top wedding dress designers, and you’ll be inspired! From lakeside retreats to fancy hotels, and a fairytale wedding at Disney! 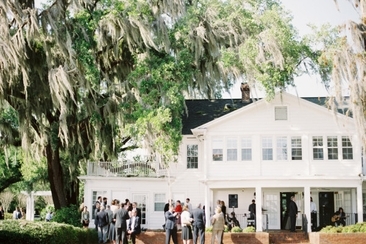 Orlando wedding venues can surely surprise you. Learn the settings, prices, and amenities offered. Choosing a wedding photographer isn't easy, but is important to capture that special day. Here are step to step instructions to help you select the perfect photographer. 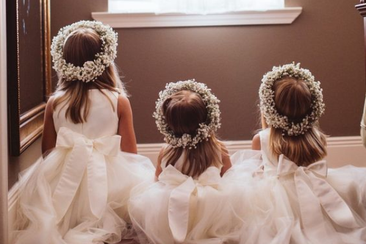 Finding a perfect dress for the little flower girl is important. If you want to sew the dress yourself, you need to know where to look for patterns for flower girl dresses. Server responsed at: 04/18/2019 11:10 a.m.